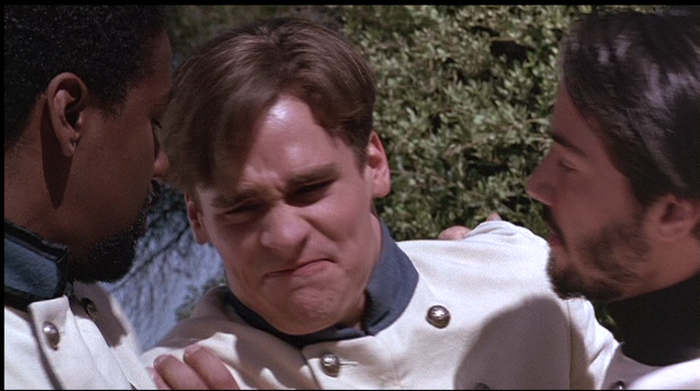 Leonardo DiCaprio portrays the perfect Claudio. 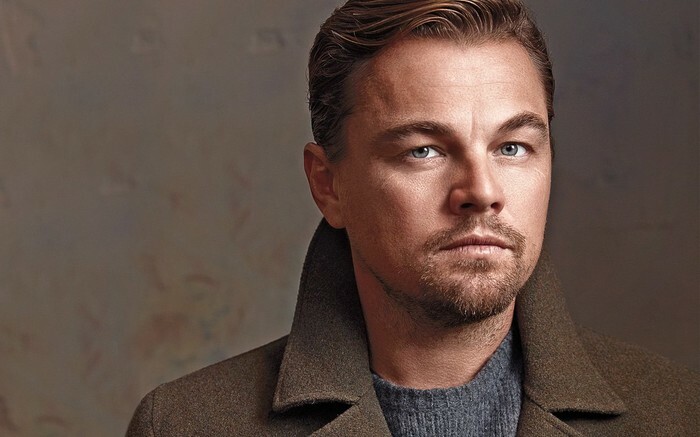 Leo is known for his dramatic roles in movies which make him a top contender to express Claudio's love for Hero and disgust when he believes Hero has cheated. Leo's look of mysteriousness goes right along with Claudio's suspicious personality. Emma Stone is known for being comical yet beautiful at the same time, which makes her a top contender for the acting role of Beatrice. Emma's witty banter goes right along with Beatrice's verbal jousting with Benedick. 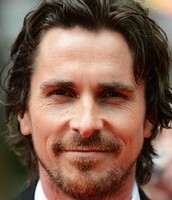 Also, Emma's pretty looks attract males, just as Beatrice's attracts Benedick and Don Pedro. 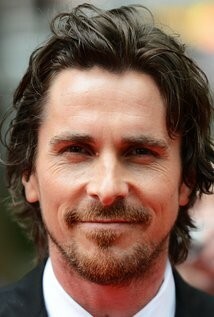 Christian Bale is known for being brave in his movies, especially in his role as Batman, which proves him to be a the right actor to play the brave Prince Don Pedro, who leads an army. Don Pedro tries to help everyone around him as Christian does in many of his movies. Don Pedro is also just a genuine and trusting guy, which Christian is also as in many of his movies he is trusted to perform a large task. Don Pedro has helped Claudio and Hero to become married in a week, which in turn causes Don John to come up with a plan to stop the wedding. Through trickery, Don John successfully convinces Claudio and Don Pedro in believing Hero has committed adultery. This event is important to the story as Claudio and Don Pedro thinking Hero has cheated on Claudio sets up all the following actions of the plot. This event clearly expresses the motivations of Don John as he obviously strongly opposes Claudio being happy because he is willing to destroy an innocent girl's reputation to do so. This event was the main climax of the plot as Claudio confronts Hero of her adultery in front of everyone. This event is important because it means Don John's plans to stop the marriage of succeeded. Also, Hero becomes heartbroken and her father believes she should be sentenced to death. This event moves the play along as it leads to a plan of how to clear Hero's name. With this, the event revealed how skeptical Claudio is and how quick he is to believe anything. It also shows how cynical Don John actually is for letting the plan take its course. Once hearing of Hero's death, Claudio guiltily agrees to marry her cousin, which actually turns out to be Hero. Borachio comes clean telling Don John's plan, clearing Hero's name. With her innocence proven, Hero happily marries Claudio so now they may be together unhindered. Beatrice and Benedick also rejoice in their love together and decide to also get married. This event is important to the plot as it signifies the resolution of all the issues. This allows the characters to live the lives they were meant to. 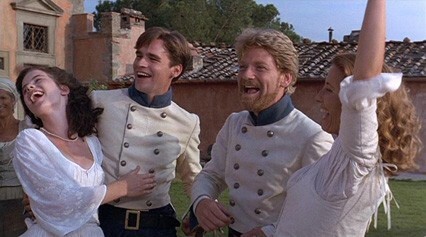 This happy ending shows how Beatrice and Benedick are willing to put aside their pride and admit their love for each other and that Claudio is done being suspicious. I chose the song "Friday, I'm in Love" by The Cure to demonstrate the theme of love found throughout Much Ado About Nothing. Two lines in the song, "Thursday I don't care about you, It's Friday I'm in love," stand as an example of how Hero was irrelevant to Claudio, and then he saw her and was immediately in love. These two lines can also be used to show how Beatrice and Benedick just all of sudden fell in love. In the song, it says, "Tuesday, Wednesday break my heart...It's Friday I'm in Love." This line relates to Beatrice and Benedick as how they first throw blows at each other and then fall in love. The song can also relate to how Claudio's loving feelings quickly turned to hatred, as the song expresses emotions changing rapidly and how love makes people act.